Order your Montblanc White Solitaire Classique Red Gold Rollerball Pen today from FahrneysPens.com. Fine Pens, Refills & Luxurious Gifts – great prices & fast shipping. 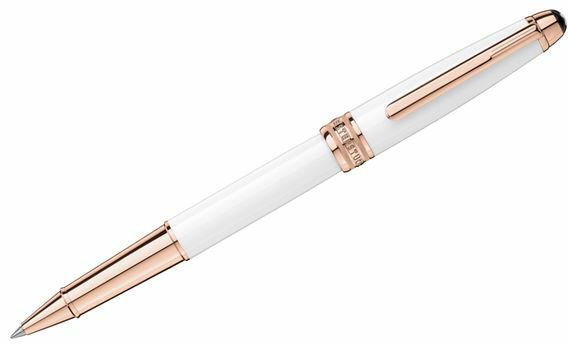 The Meisterstück White Solitaire Classique Collection introduces itself as a pure, classical, white lacquered version of Montblanc's design icon. 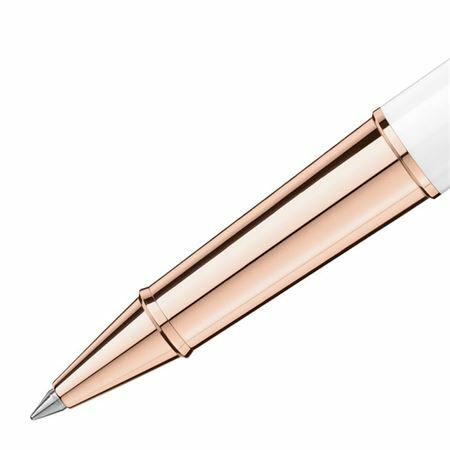 Precious white lacquer, red gold-plated details and a handcrafted red gold nib on the fountain pen underline the sleek and modern design which offers timeless elegance. The White Solitaire Red Gold Classique Collection includes a fountain pen, ballpoint pen and rollerball.